Tasks for a job can be pre-loaded to a job in order to speed up the scanning process during the move. 1. 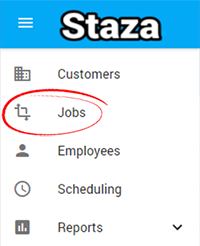 Open the Jobs list by selecting "Jobs" from the left menu navigation. 2. Select the job you want to upload tasks for, and click the "edit" icon on the right. 3. Click the "Task Upload" button on the far right. 4. Select the file upload format you want to use, and upload your CSV file to the system. Click here to download a sample upload file. 5. Click "Next" after uploading your file. 6. 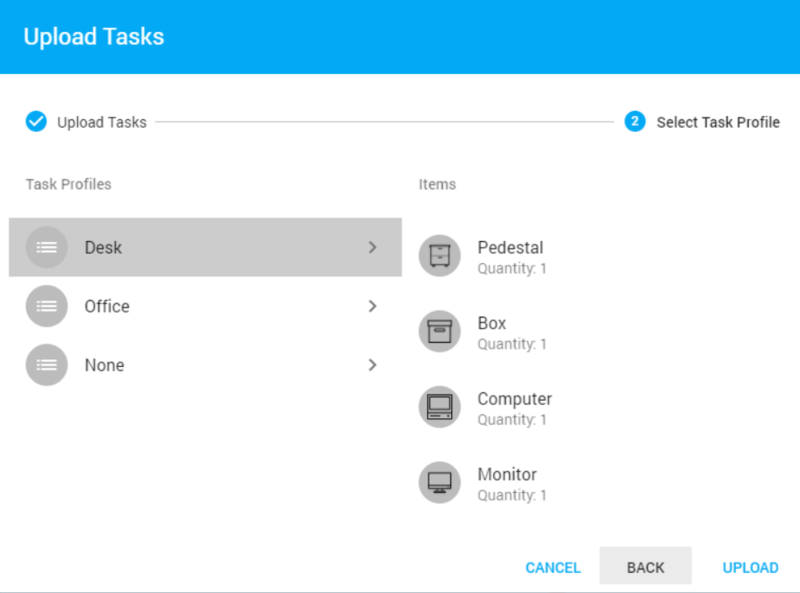 You can optionally add a task profile to the tasks uploaded, this will automatically add placeholders for common items expected at each desk. If none are desired, click "None." Click "Upload" to proceed. 7. You're done! 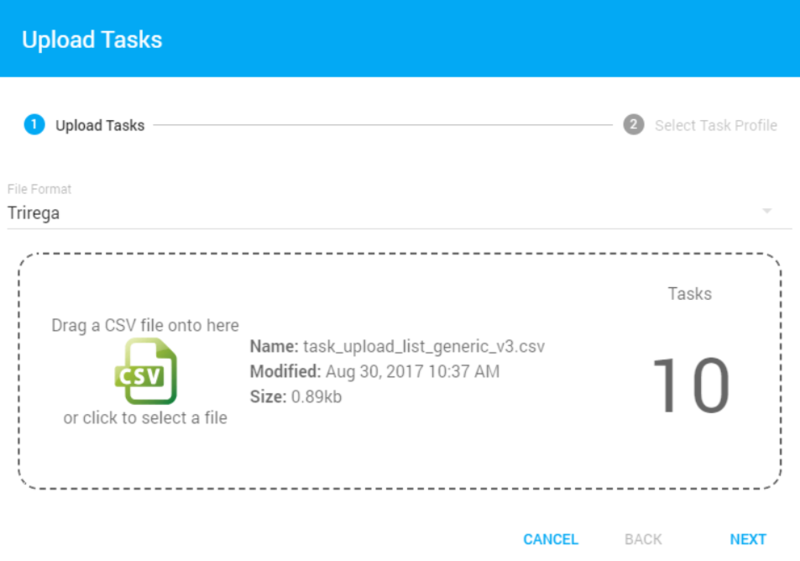 Click on the "Tasks" sheet to view your uploaded tasks. These tasks will automatically be sent to any employees scheduled for the job.